SELLING a Fairoaks Garden Village to the people of Chobham and surrounding communities was always going to be difficult but the ‘masterplaners’ given this task are finding it almost impossible. Senior people from JTP architects came to the village last Wednesday evening claiming they had received support for the concept of building 1,500-plus homes on the Fairoaks Airport land. They were reporting back on a community consultation weekend, when local residents were invited to join in the creation of a ‘vision’ for a garden village. But the reception from around 120 people in a packed village hall was almost unanimously hostile, with challenge after challenge throughout the evening to the information being presented. 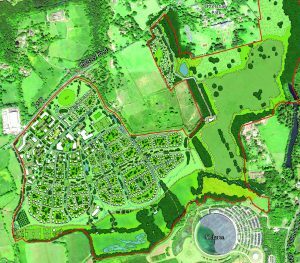 The meeting was led by JTP partner Charles Campion, who stressed that a garden village would help Surrey Heath Borough Council meet its need for 382 homes a year up to 2032. Its business units would also help Surrey Heath and neighbouring boroughs to cope with growth across all employment sectors of an additional 21,600 jobs in the next 35 years, he said. Mr Campion and his colleagues unveiled a new self-contained community including a mix of homes for all generations, a shop, a pub, a GP surgery, a primary school, cafés, a hairdressers, a gym, sports pitches, a village green and other open spaces for recreation. Much of the housing would be run by a community land trust, which would ensure homes were built at an affordable price, based on average earnings in the area. The trust would also run community buses to take children to school and commuters to Woking Station and residents would be encouraged to cycle to work and to catch trains. Mr Campion said a garden village on Green Belt land had to meet distinct criteria to justify planning permission. It had to be in the right location, fit the landscape, create a unique identity, have a village way of life and invest in invest in enterprise. He said he was convinced this could be achieved at Fairoaks, but most of his audience seemed to be far from persuaded that the proposed development had any benefits for the people of Chobham, Ottershaw, Horsell and other surrounding communities. A show of hands demanded by an audience member had just one person in the hall saying they were in favour. The Chobham Society had previously conducted polls that showed an overwhelming majority of respondents against the plan. Despite Mr Campion saying the teenagers could be among those who benefited from the new homes and they were entitled to express their views, many saw their involvement as a cynical ploy to show support. Comments made at a consultation the previous week included unhappiness at the loss of Green Belt and the merging of communities through other planned and possible developments in the area; already congested roads becoming impossibly clogged with traffic; poor public transport; overstretched hospitals and GP surgeries; and schools unable to meet pupil demand. There were positive responses, including for the provision of new housing for the children of local people and the assisted living homes for the elderly. But others objected to the loss of the Fairoaks business units, where 65 companies, most of which are not connected with aviation, now operate. 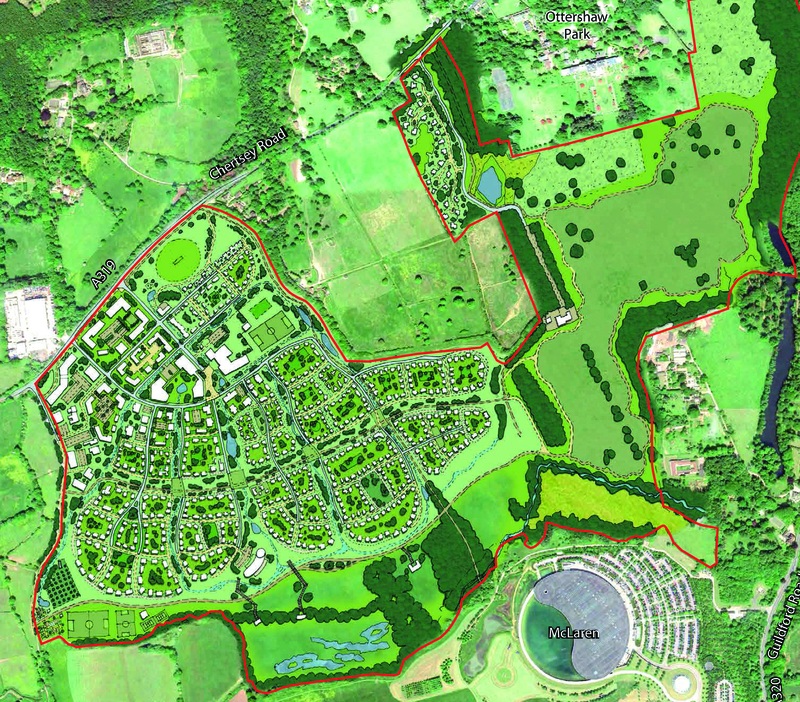 A Fairoaks Garden Village – put forward by Surrey Heath Borough Council – was not included in the first tranche of 14 such developments accepted for Government support in January.